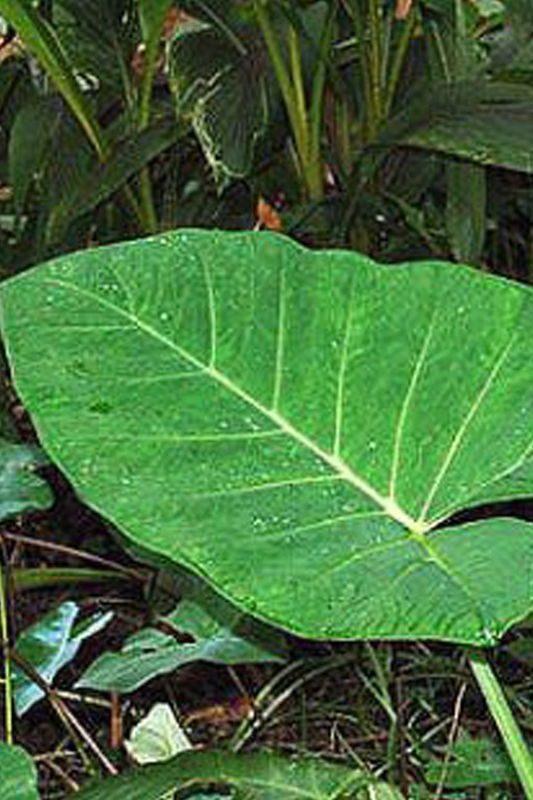 The leaf petioles and tender new growth and tubers can be used as food. Tuberous rhizomes and with the gigantic, beautiful leaves are on long petioles. Flower which is white in color and turns yellow as it matures.